About Us: We’re the world’s most unique original art company. We make amazing travel posters and have never charged a design fee to our customers, we simply listen to our community. We will create just about any travel poster and have four methods to choose from to get your idea on our drawing board! 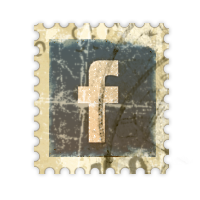 The best way to follow the process is to like our Facebook page. See more information on Commissioning new artwork Here. Our art represents not just aircraft, armored cavalry, or ships, it represents adventure and travel. This means we create posters featuring the Space Needle, New Orleans, the Golden Gate Bridge, Mt Rushmore and the National Mall. 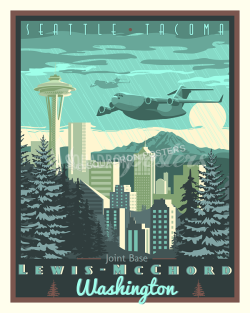 Of course, McChord AFB isn’t in Seattle but if you’re stationed there your adventure surely involves the Space Needle! This is what makes Squadron Posters different–it’s about remembering where you’ve lived and what you’ve seen with a vintage themed travel poster. Andy has over 30 years experience in the Graphics imaging industry with a fortune 500 company, providing management, technical support and customer service and is also a retired military veteran. Andy was the perfect match to oversee operations and ensure Squadron Posters delivers a quality product every time. Adam has a Political Science degree from Oregon State University and is a perfect fit to run marketing and sculpt Squadron Posters’ philanthropic outreach. Max was born in sunny Crimea which stands on the Black Sea. He lived there for 20 years and finished his Art Degree and then moved to the also sunny San Antonio, Texas. He is a top-notch graphic designer and one of our most promising artists! Seth graduated from Oregon State University with a degree in Fine Arts. Jerry Graduated from Oregon State with a degree in Graphic Arts. please only call for help with a new or existing order (if you have a poster request please send us an email). The world of Squadron Posters! Placing personalized decorations on fighting aircraft began with Italian and German pilots. The first recorded piece of nose art was a sea monster painted on an Italian flying boat in 1913. – See how “Squadron Posters” is keeping this tradition alive HERE. 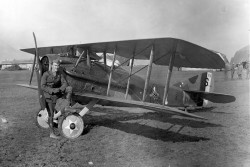 The Lafayette Escadrille was an escadrille of the French Air Service during World War I composed largely of American volunteers. 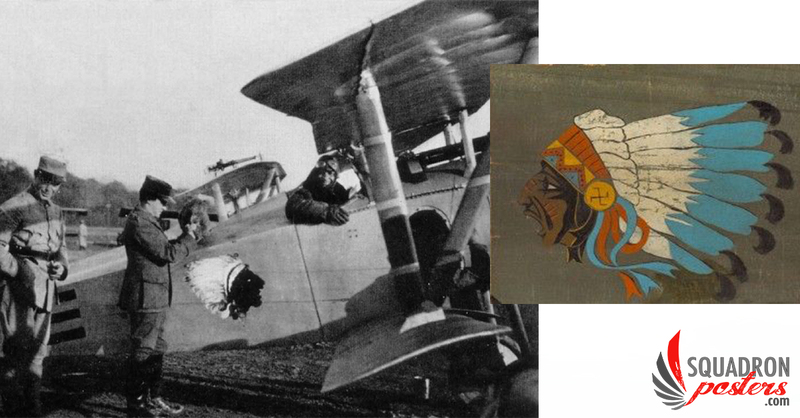 The Lafayette Escadrille squadron’s insignia depicted an “Indian head” (above) to give the unit a fierce look. American volunteer pilots served in the Lafayette Escadrille prior to America’s “official” entry into WWI. Uncle Sam (initials U.S.) is a common national personification of the American government or the United States in general that, according to legend, came into use during the War of 1812 and was supposedly named for Samuel Wilson but whose actual origin may be obscure. Uncle Sam represents a manifestation of patriotic emotion of people in America for the country in which they live. Originally published as the cover for the July 6, 1916, issue of Leslie’s Weekly with the title “What Are You Doing for Preparedness?” this portrait of “Uncle Sam” went on to become–according to its creator, James Montgomery Flagg–“the most famous poster in the world.” Over four million copies were printed between 1917 and 1918, as the United States entered World War I and began sending troops and matériel into war zones. In keeping with this great tradition, we invite all who have served our great nation to create and display artwork representing their time in service! See more HERE. All of our artwork is original art created exclusively by Squadronposters.com, however some artwork may be an *updated modern version of older original art or public domain artwork to make them relevant for current events.